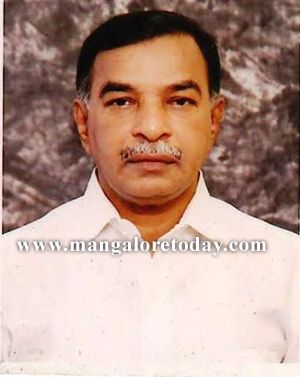 Mangalore Aug 25, 2015: The sudden death of senior Congress leader Mohammed Badruddin has saddened and shocked all of us said J R Lobo, MLA. He was a leader of service, expected no lavish lifestyle. He lived in a rented house and fully dedicated his life to the Congress party and served the society wholeheartedly. We miss him deeply. Condolences from Oscar Fernandes, Janardhana Poojary, Veerappa Moily, Ramanath Rai, UT Kadher, Vijay kumar speaker, Abhaychandra Jain, JR Lobo, Baws, Shalunthala shetty, Vijaya kumar shetty, vasanth bangera and all Congress leaders and party workers. We miss you Sir. May his Rest in Eternal peace.